(MENAFN - PRLog) The Money Matters Book releases an audiobook containing key lessons that provide guidance for success in personal financial planning. Book Cover PORT WASHINGTON, N.Y. - April 15, 2019 - PRLog -- Millennials everywhere have tragically been told to stop eating avocado toast so they could afford to buy a house. Fortunately, The Money Matters Book has come up with a solution so you can have both. The book tackles topics such as paying yourself first, income taxes, investments, and much more. If reading is not your thing, don't worry, The Money Matters Book is excited to announce the release of The Money Matters Audiobook on April 15, 2019. Veronica Karas, the author of Money Matters, decided to write the book to help people make financially-wise decisions. Her objective is to equip people with basic financial knowledge that will help them in achieving their goals. "A lot of what people struggle with in life has to do with what isn't covered in schools," said Veronica Karas. "Finding the right person to marry, or picking the right partner, launching a business, raising children, handling our own emotions and emotional state, and of course finances. I think that healing our relationship with money starts with understanding the super complex financial system. This is the go-to place. Beyond just a book, it's a reference guide... it's your financial best friend. It's a way to chip away at all these difficult areas. It's a pathway to power and success." The Money Matter Audiobook is available for purchase on Audible and Amazon. For more information on The Money Matters Book, visit www.themoneymattersbook.com or visit us on Facebook , LinkedIn , or Instagram . 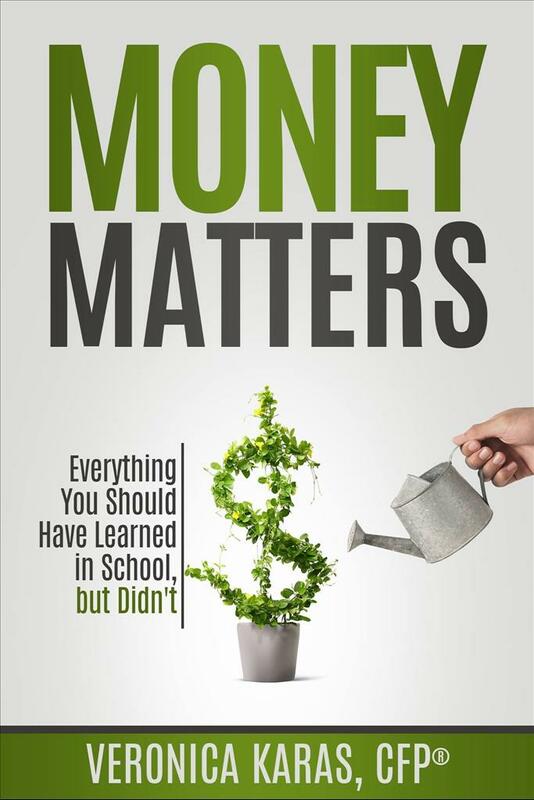 About The Money Matters Book: Money Matters – Everything You Should Have Learned In School but Didn't (published on February 18, 2019) written by Veronica Karas, CFP® aims to guide young people in achieving personal financial success. The Money Matters Book is committed to giving back and donates $1 for every book sold to a children's education charity.